Let us help you build a successful Photography Business! If you’re looking for the best way to develop a thriving photography business, PortraitEFX is the place to be. The digital revolution has changed almost everything in the photography world and with change comes tremendous opportunity. Today’s new imaging technology combined with PortraitEFX training, mentor support, marketing tools, innovative imaging products and sound business management systems gives you boundless possibilities to build a fun and lucrative professional photography business. Continuing support for our franchisees is our number one priority. From our fast start marketing programs and cutting-edge technology to national branding campaigns and customizable marketing tools, we offer an integrated training, marketing and delivery strategy that is second to none. Comprehensive training and ongoing support keeps our franchise owners and their staff knowledgeable and competitive at startup and beyond. 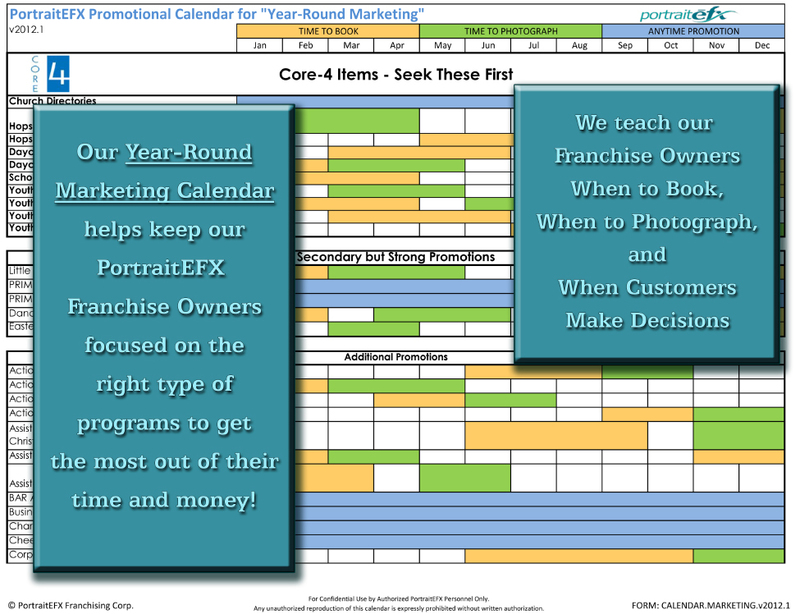 As part of the franchise program, PortraitEFX provides a wide variety of comprehensive resources to help you achieve your professional and personal goals. Business Development Consulting and Mentoring. Frequent training updates via Webinars or Company Workshops. Fast Start individualized business planning and start-up. Robust, state-of-the-art online proofing & E-commerce system. Assistance with business operations, staffing and financial requirements. Optional on-site training also available. NOTE: Starting a Photography Business does require an investment. The amount of investment required often depends on how much photography equipment you might already have that can be used in your new business. Want to find out more information about the fastest growing Photography Franchise in North America? Contact Us by completing the Online Form to receive more information.